Jellyfish are found in every ocean, from the surface to the deep sea. A group of jellyfish is sometimes called a bloom or a swarm. 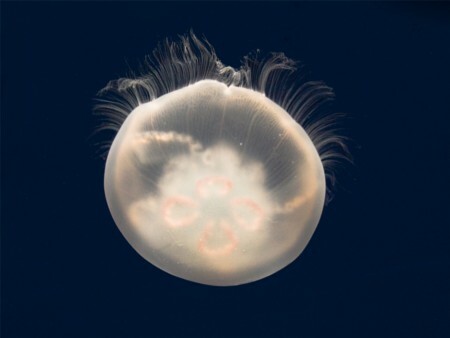 Jellyfish are commonly displayed in aquariums in many countries. It is wisest not to contact jellyfish with bare skin. Even beached and dying jellyfish can still sting. Victims of jellyfish stings may require first aid immediately.